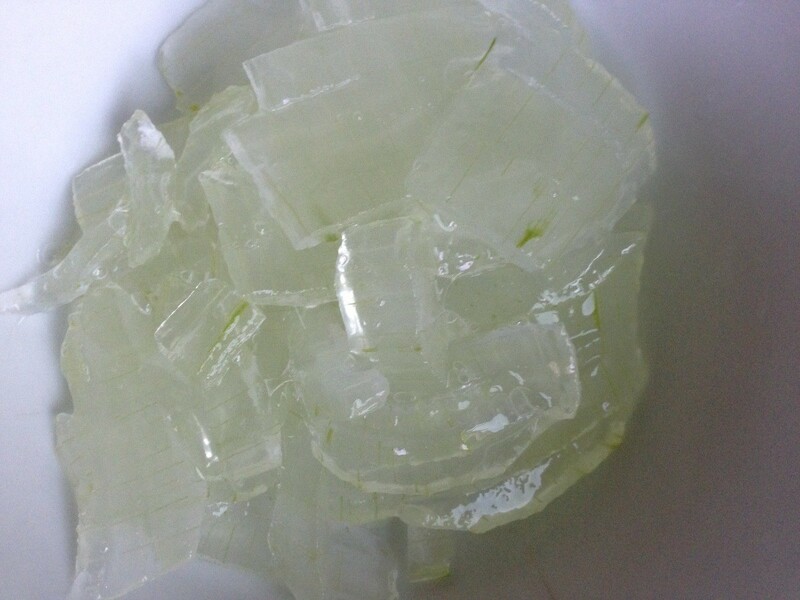 Soaked mung beans, peeled and cut aloe vera along with sugar can be cooked for a delicious dessert. 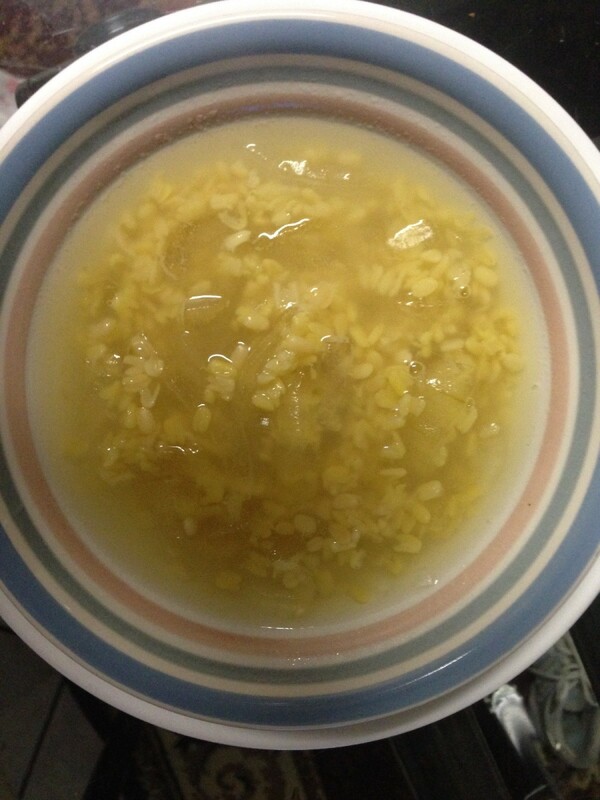 This is a guide about mung bean with aloe vera dessert. Very delicious and refreshing dessert for after dinner! 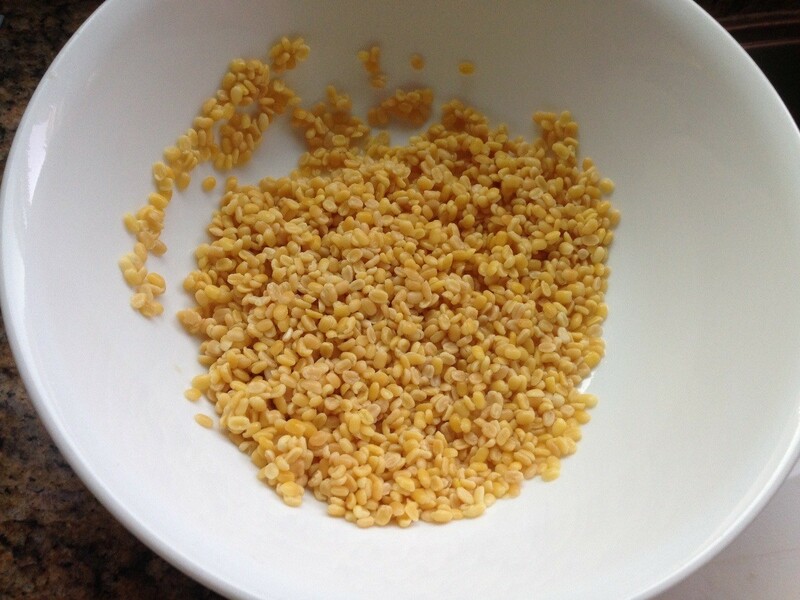 Soak mung beans in water for 30 minutes to reduce cooking time. Below is an example of how the mung beans look like when it has been soaked and drained. 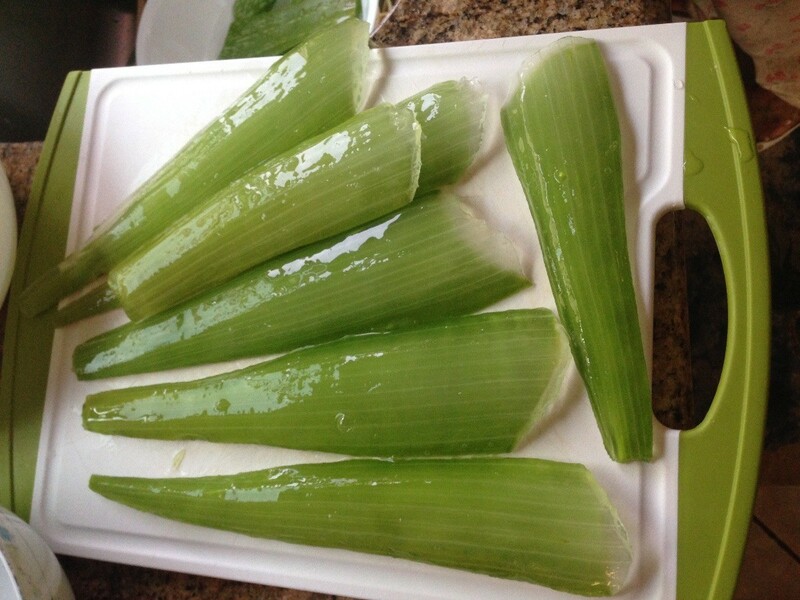 Then peel one side of the skin and flip it over and peel the other side and cut into pieces (up to your preference on size when you eat the dessert). 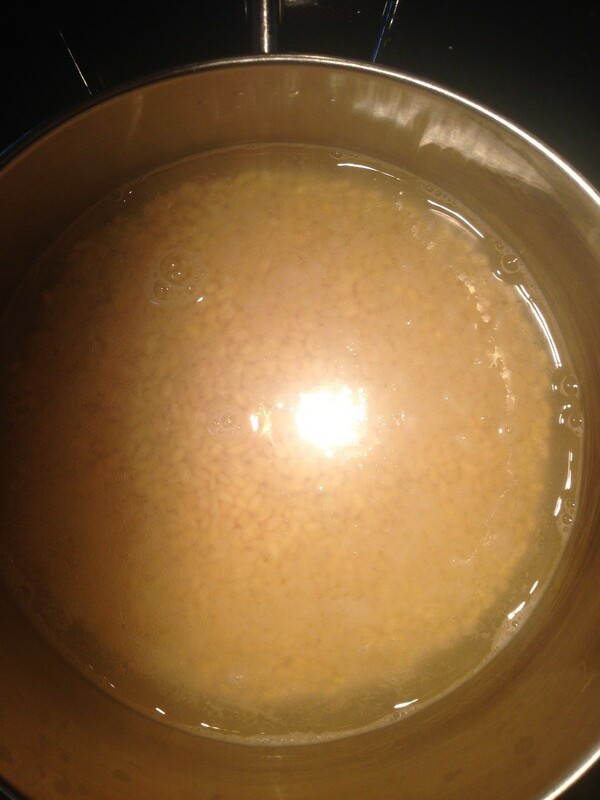 Boil 2 cups of water in a pot, add mung beans then reduce the heat to medium and cover lid for 10 minutes. 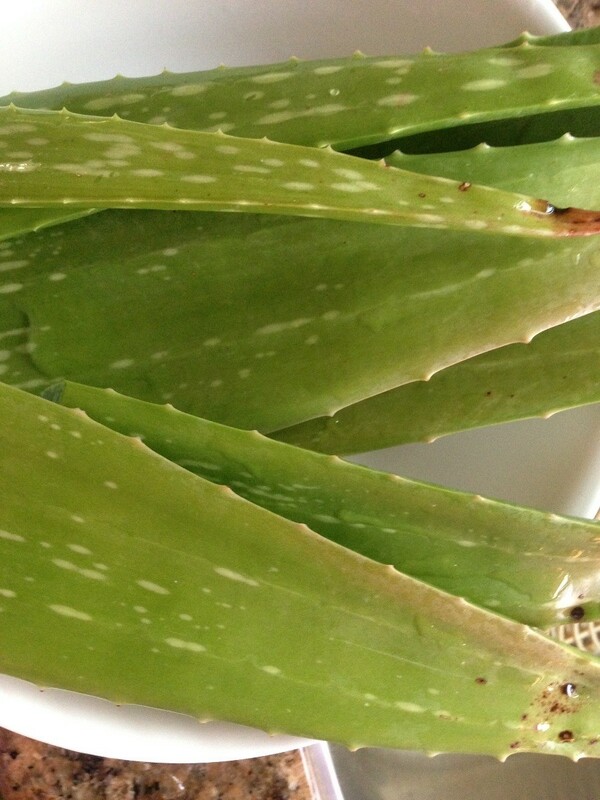 After 10 minutes add the aloe vera pieces, sugar and sprinkle a little bit of salt. 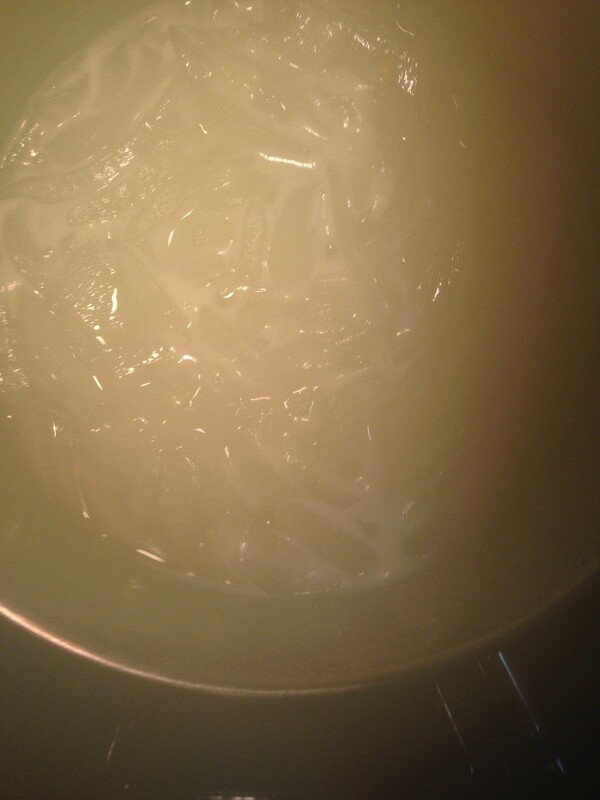 Stir a few times (not too much) for 10 more minutes. *Optional if you want this dessert to be more sweet, you can add more sugar. Ready to serve in a bowl and enjoy!